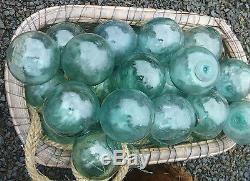 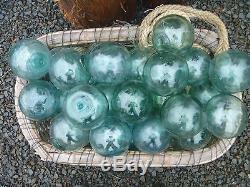 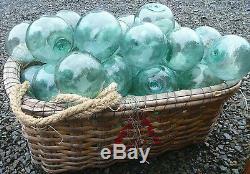 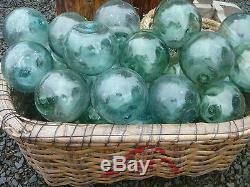 Japanese Glass Fishing FLOATS 4-4.5 LOT-20 Aqua Buoy Large Size Blown Glass Vtg. 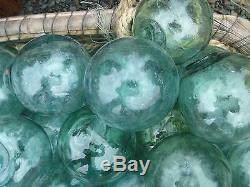 Many with Tiny Bubbles in Glass. 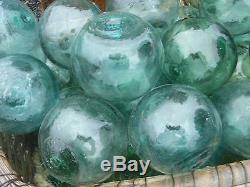 Items shown in photo are representative of actual items. 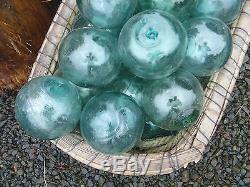 You will receive a lot of 20 authentic floats! 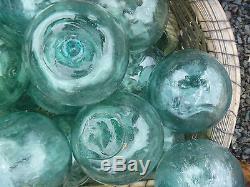 Some small "flea bite" chips on seal buttons, as expected. 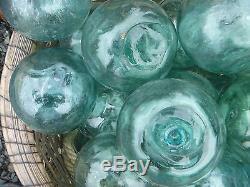 Including AK, HI & PR, with tracking numbers provided. 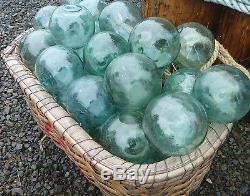 The item "Japanese Glass Fishing FLOATS 4-4.5 LOT-20 Aqua Buoy Large Blown Glass BULK Vtg" is in sale since Tuesday, January 26, 2016. 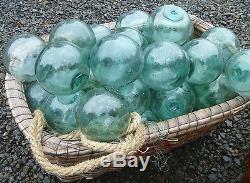 This item is in the category "Antiques\Maritime\Fishing Nets & Floats". 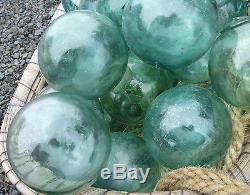 The seller is "wizardofwas" and is located in Long Beach, Washington.